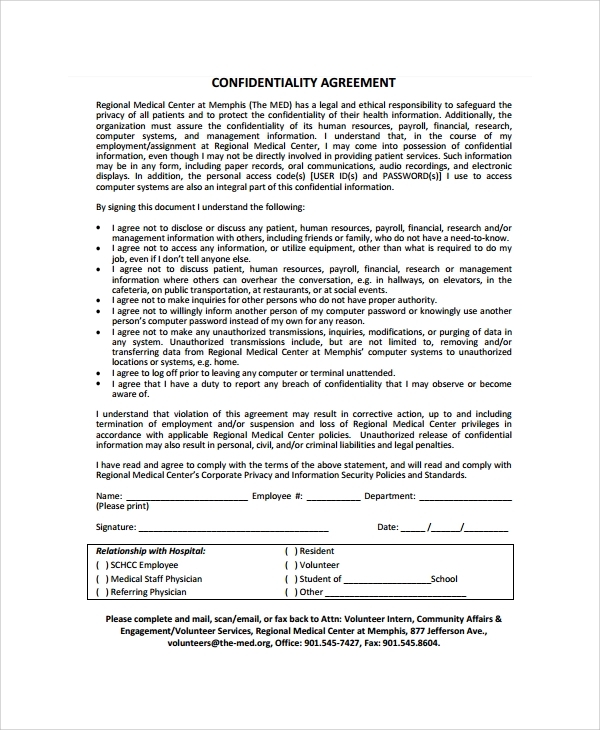 This type of confidentiality agreement is designed for medical staff. This is a legal and ethical written agreement to keep safe the privacy of all the patients as well as protecting the confidentiality of their health information. 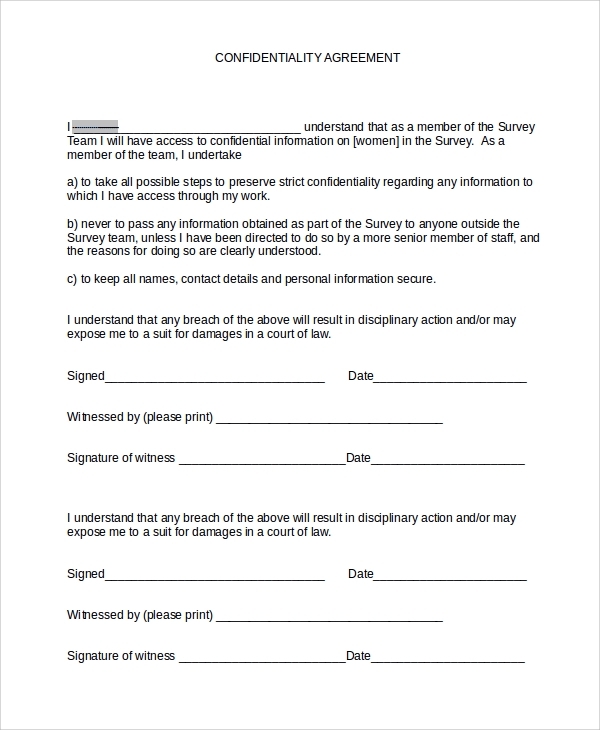 This type of confidentiality agreement is intended for school staff. This is a written agreement signed by a school staff. Any specific information of a student such as academic performance, health, behavior, disabilities and others should be keep in private; unless some other school staff need this information. 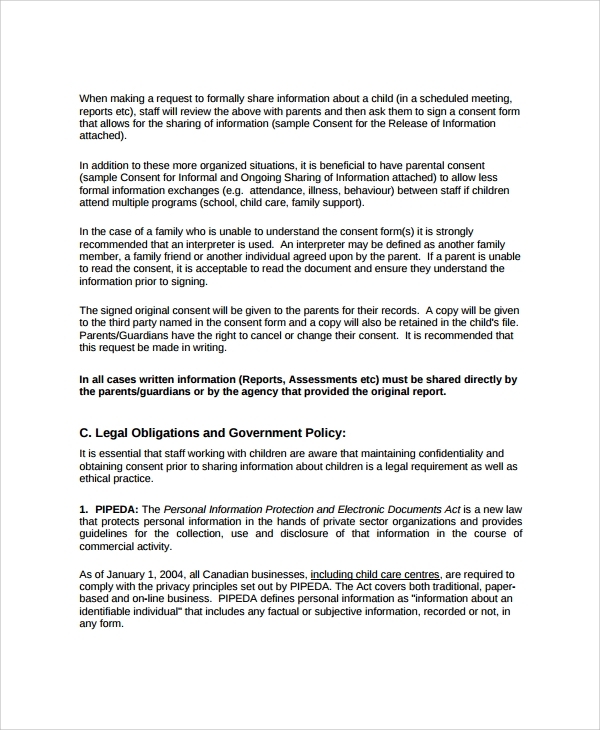 This type of confidentiality agreement is designed for child’s care. Both parents and guardians must be aware that they holds an authorization of granting or refusing to share relevant information about their child. The parent handbook or policy statements contained procedures to ensure confidentiality and the right sharing of information to establish trust relationship. 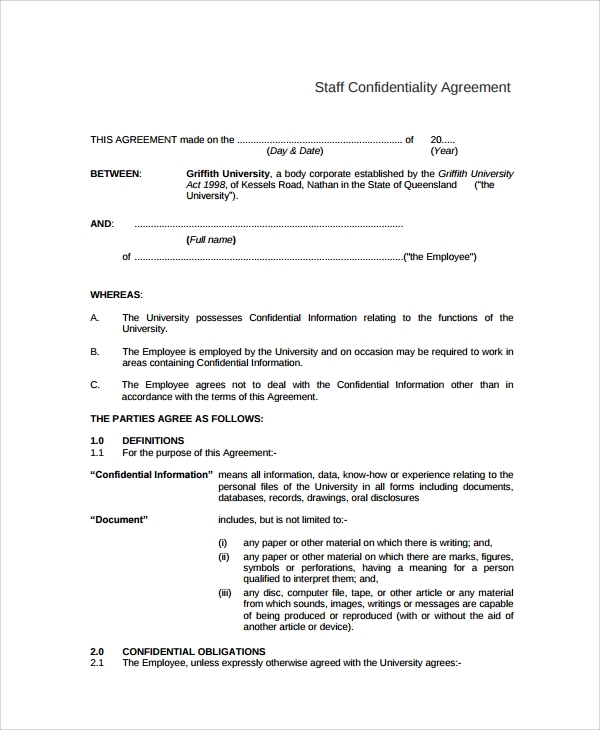 This type of confidentiality agreement is made for an employee working in the university. 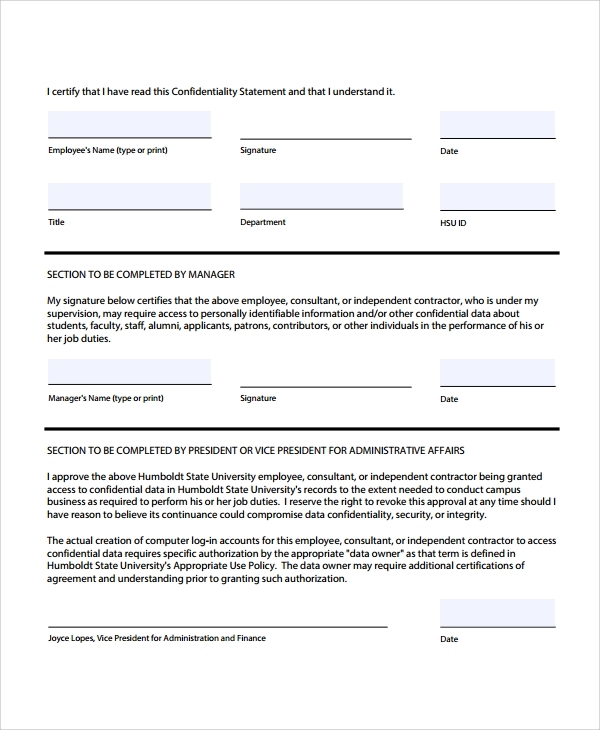 The agreement states that the University possessed confidential information that relates to the functions of the school. When do I Need a Staff Confidentiality Agreement? If you are an employer, you will be the first person that needs a staff confidentiality agreement. If you are on the situation of running a business, and wanted to make sure that your company holds on to become successful and competitive, you need to take a look on the sample confidentiality agreement. It is actually significant to keep the privacy and confidentiality of a person. Once you want to get an effective way of safeguarding personal information, you must be in need of this non-disclosure agreement. 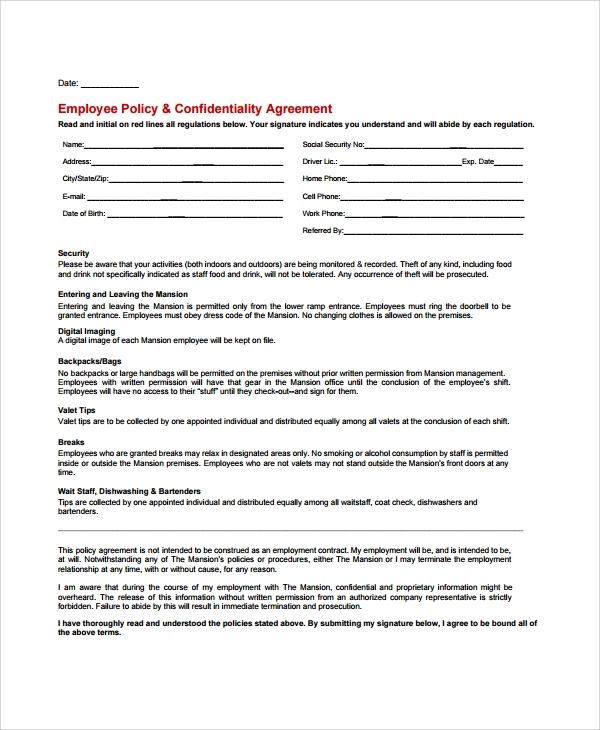 How to create/write a Staff Confidentiality Agreement? All the types of staff confidentiality agreement are available here. It comes with easy and free downloadable file – ready and easy to use. The printable files are accessible and ready to print anytime you need it. It has a simple, clean and uncluttered layout that makes it understandable and formal.